For successful summer holidays in the mountains, book your accommodation to Pelvoux in Southern Alps massive, Hautes Alpes. This mountain resort will offer you exceptionnal areas and surprising landscapes. Your summer accommodation to Pelvoux will be for you a moment of wellness in the heart of a beautiful nature and you will spend holidays in wide open spaces. Our moutain offers will make you live warm emotions with all your family. We propose you quality holidays accommodation in all French massives, in the heart of mountains. We have many residences to rent for your summer to Pelvoux. Let yourself be carried by a feeling of happiness, enjoy the summer holidays in the mountains full of sun and discoveries ! The Chalet Bouisset is situated in the village of Pelvoux, 300 m away from the resort center. The shops are located 500 m away from the residence. You can take advantage of the quiet place. You will be near the services and activities. The residence Le Palatin is situated in the village of Pelvous. It consists of 2 buildings of 3 levels with lift. It is located at about 200 m from the center of the village. Restaurant, grocery and nursery in the vicinity. The residence Belvedere is situated in the village of Saint Antoine in the Pelvoux valley. It is situated at 800 meters from the hiking trails and the center of the village. The nearest shops are at 800 meters from the residence. The residence Les Anemones, consisting of two floors, is located in the hamlet of Vallouise the Brain. You will find a public car next to the building. Vallouise is a small village with a rich architectural heritage, which remains a popular resort, a few kilometers Pelvoux stations and Puy Saint Vincent. The residence Gentianes, composed of 2 levels, is situated in the small village of Vallouise La Casse in the Hautes-Alpes department and Provence-Alpes-Côte d'Azur region. The building is located close to Pelvoux and Puy Saint Vincent 1400 resorts. Collective parking (if availabilities). The residence Cytises, consisting of two floors, is located in the village of Vallouise La Casse. At your disposal: a private car park (subject to availability). Vallouise is a town in the Hautes-Alpes in Briançon, the largest of the eponymous valley. It occupies a central position in the middle valley between Pelvoux upstream, downstream and Vigneaux Puy-Saint-Vincent on the heights of the right bank. It is part of the Ecrins National Park that covers the high valleys of Bans and saddle. 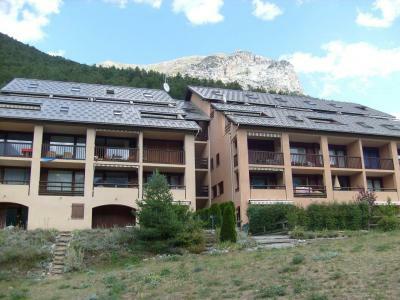 The Chalet Biallay is situated in Vallouise, 4 km away from Pelvoux resort center. You can take advantage of the quiet place and view on the mountains. The cottage is located Vallouise La Casse, typical village of the Hautes-Alpes, ideal for a family holiday in the mountains. The common Vallouise consists of several hamlets: City Rière Pont, Le Villard, Puy Aillaud, Le Petit Parcher, Parcher and the Grand Casse. It now has 637 inhabitants. Both stations are located a few miles from the cottage, and you can choose between Puy St Vincent and Pelvoux for your outings. Residence La Garance B is nicely located in the upper quiet part of La Casse. It has a beautiful view over the mountains and you'll spend some lovely familly summer mountain holidays.